A few years back now, McDonald’s introduced something that would soon become one of my favorite drinks EVER – the caramel frappe! I don’t know what it is about this drink. Maybe it’s the coffee. Maybe it’s the caramel (incidentally, I think the caramel frappe is SO much better than the mocha frappe, so it might actually BE the caramel that does it for me). So, when my husband bought me the Ninja Master Prep as an early anniversary present, and then I found out this was National Frappe Day, I immediately started trying to figure out how I could replicate my favorite drink. I came up with what I thought was a delicious facsimile, but my husband tried it, and said it was good but “it could use a little more sugar.” So, if you’re really into sugar, like he is, you might want to add another couple of tablespoons of sugar…or maybe even double the amount of sugar in this recipe. I’m going to try that the next time I make this, and maybe that’ll satisfy my little sugar monster. 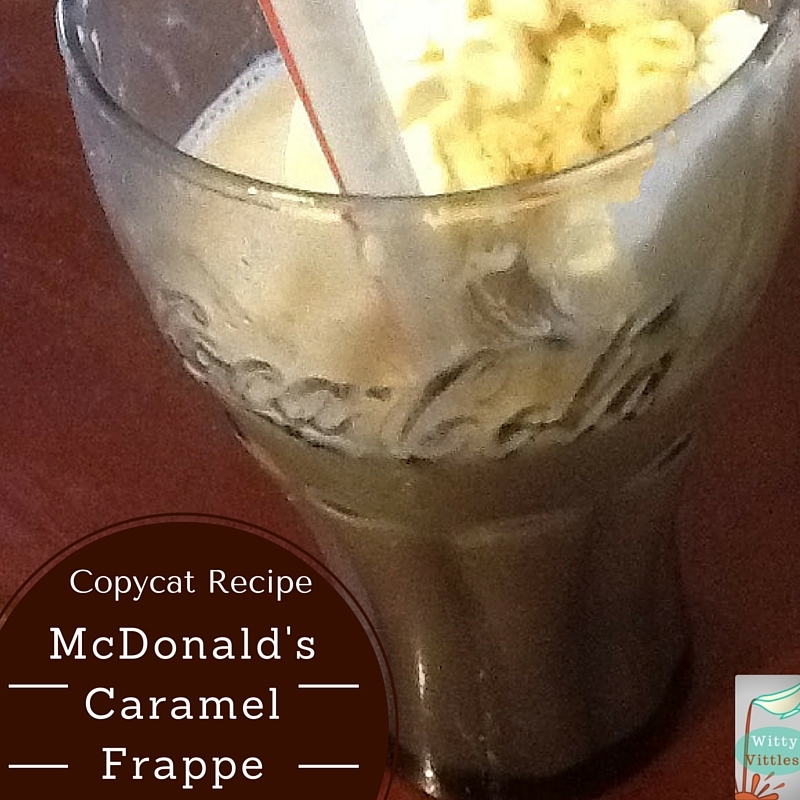 I’m so excited to bring this copycat recipe to you because it’s a variation of my very favorite drink ever – McDonald’s Caramel Frappe! Pour 2 cups of brewed coffee (this fills about 4 cube squares) into an ice cube tray and fill the rest of the tray with water. Freeze for a few hours, or overnight. Put the coffee and plain ice cubes in the bottom of a blender. Add the caramel, sugar, milk, and yogurt. Blend for about one minute, or until well blended and smooth. Top with Reddi-Whip and drizzle with more caramel. The caramel I used for this recipe was the same caramel I made for my microwave caramel custard recipe. I really liked how it turned out then, and it was absolutely amazing in this recipe – and surprisingly similar in taste to the caramel McDonald’s uses in their frappe (at least as far as I can tell). All I know is, from this point on, McDonald’s may lose a lot of my frappe business because now I know how to make my own delicious caramel frappe (and I have the tools to do it with). 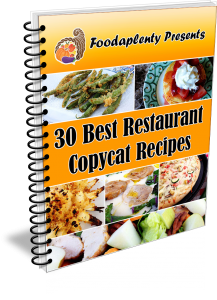 Want to see more restaurant copycat recipes? Check out Foodaplenty’s guide to making 30 favorite restaurant-style meals at home. It’s only $4.99, and it includes dishes from Olive Garden, IHOP, Cinnabon, Cheesecake Factory, and so much more!